Why is self-love so important? Why do we always talk about it? And what does it mean to love yourself? And do selfies count? In an era where social media postings portray people in massive euphoria and we seem to be living in a panacea, why does it feel like we are further away from loving ourselves and depression and suicide seem to be at an all time high. 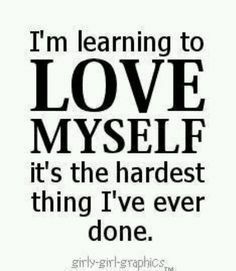 Where do we first learn to love ourselves? Of course the obvious answer is during our childhood from those that raised us. Ironically, the love one receives externally from our caregivers even as early on as conception, is what teaches us to love ourselves. Unfortunately, we don’t get to choose our caregivers (unless you believe in reincarnation, which is completely another article). Presuming you are stuck with the parents you have in this lifetime, what happens if your childhood was less than ideal? My story is no Pollyanna. I once heard a quote from Cynthia Bond, author of Ruby and a guest on Oprah Winfrey’s Super Soul podcast, and it went like this: “If you are brave enough to live it, the least I can do is listen.” So in the name of Cynthia Bond and all women that have gone through some sort of abuse, I will go out on a limb and be BRAVE. I was sexually abused before I could even start kindergarten. At age 11, my abuser died, a man I called my father. I grew up in government housing in NY with a single mom and a younger brother. Our mom had to work two jobs just to make ends meet and I became a latch-key kid overnight, having to take care of my younger brother, myself and our household. I grew up angry, resentful and ashamed. No one to turn to, no one to “listen” to my story. Thoughts of suicide became an everyday event. Needless to say, my self-love was non-existent. Instead, I decided to excel in everything I did. I buried myself in books. I swore I would be different than my mom, a woman that came from an impoverished childhood set in a very small town in Paraguay, who managed to complete only fifth grade and a victim of abuse herself. Excel indeed I did. I was an honor student and graduated top of my class and went on to get a scholarship to New York University. First in my family to graduate from higher education. Wow, what a success. Abuse? What abuse? I buried and hid that pain so deep, you couldn’t get to it with an oil drill. The first time I sought out help was when one night I lost all color in my vision (a phenomenon that happens when blood rushes so quickly to your brain due to extreme emotion) after having a fight with, at the time my boyfriend, who later became my husband and the father of my two boys and now is my ex. I was 28 when I went to see a therapist for the first time who now I look back and was an angel that helped me start on the path of self-love. She told me that my name, Grace, was so apropos, because given my childhood I should have been a prostitute or dead. I also learned to forgive my parents. Especially my mother. My father was the abuser but the most pain and anger I had was towards my mother, the one that was supposed to protect me. Of course now I know, she did the best that she could. And now I see her as a very strong survivor and I have forgiven her, my father and myself. And even though my childhood has caused me so much residual pain, I am still grateful, as I would not be the person I am today if it weren’t for it all. Today, I am 52, and every day I have to remind myself to love me. I learned through 24 years of on and off therapy and getting sick with cancer in the process, that love HAS to come from inside in order for everything else to flow. No one can give it to you and no one can take it from you. I realized later in life that my fish tank was empty and all I kept doing was looking for someone else to fill it up, when all I had to do was turn on my internal water faucet. As Arianna Huffington says, “Life is shaped from the inside out”. Every single thing you do is impacted by your self-love or lack there of. How you experience life, the partners you choose, the relationship with your friends and family, your job, your entire existence is based on this two hyphened word, self-love. Its everything. So how do you overcome the fear of loving yourself? One step at a time. One day at a time. Go seek help. Its not a sign of weakness, it is a sign of bravery. Breathe. Pray. Meditate. Read about others’ pain as you are not alone. Exercise. Laugh. Be with nature. Dance. Cry. Learn to spend time with yourself. Keep a journal. It doesn’t matter if you are not a writer. Putting your thoughts and feelings on paper helps you release it. Be with healthy and loving family members and choose all your relationships based on love and respect and distance yourself from toxic ones. One of my wise friends once told me; As an adult, you get to have a family of YOUR choosing. Bond with your girlfriends. Mine have been my soul sisters and my saving grace (no pun intended). Help others. Be so very Grateful, with a capital G. And most importantly FORGIVE. Forgive those that have hurt you. As the Dali Lama once said, “Holding resentment is like drinking the poison and expecting the other person to die”. Let go. Really let go, one of the hardest things for me. And Love like its no one else’s business. Namaste! Grace has exceptional experience as a marketing and business development professional, specializing in the travel space. Her numerous awards and honors are a result of her ability to identify and grow opportunities, develop key strategic partnerships and relationships, and speed-to-market entry into emerging and international markets. She is currently the Co-Founder / CEO for RentingCarz Holdings, a technology solutions company in the online car rental space. Since 2014, RentingCarz opened-up Latin America, Middle East, Japan, S. Korea and Spain. RentingCarz signed a global contract with Amadeus, the largest IT company in travel in the world, as the online car rental platform in Sell Connect and in 2018 signed the first airline partnership with AirEuropa. Grace began her career with Hertz Global Holdings in 1994 and worked her way through the ranks until becoming the VP of Global Inbound/Outbound until 2013. In this position, she was responsible for growing the company's profile globally to drive revenue among international regions. Additionally, she was tasked with the integration of the acquired Dollar & Thrifty brands creating to drive increased sales and revenue for the company. She is the recipient of the Hertz Global Achievement Award (2011), Global Leadership Award (2010) and Outstanding Revenue Performance (2010). Furthermore, she was named Internationalist of the Year by Internationalist Magazine, as well as Top 100 Latin American Executives and Top 50 Latin American Executives by the same magazine. Originally from Argentina she moved to NY as a young child. Grace is a graduate of New York University Stern School of Business and participated in the Executive Program at Wharton School of Business. She has been dubbed Top 25 Extraordinary Minds in Sales and Marketing by the Hospitality Sales and Marketing Association International. She served on several board including US Travel Association and Visit Florida. She currently sits on the Executive Marketing Committee for the Greater Miami Convention & Visitors Bureau. She is a mom of two teenage boys, Chris (19) and Alex (almost 16) and resides in Miami.